It's coming up. Three days away. 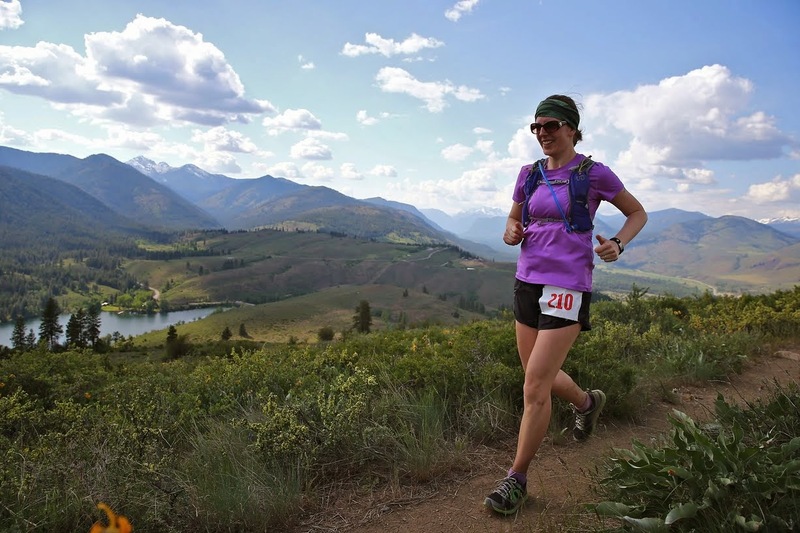 50k, also known as 31 miles, through the beautiful mountains and meadows in the Methow valley. I have been focused on training since January, but of course was building up to that volume of running well before then. It doesn't even feel real that the race is finally so close. Obviously, my number one goal for the race is to finish. No DNF! It's going to be very warm out there, which means I need to pay extra attention to not pushing too hard and hydrating well with electrolytes. Heat exhaustion is no joke. I have no doubt that I am ready to run that far. I actually feel like I did a great job training, so we'll see if that effort parlays in to a strong race. Which leads me to my next goal: feel strong. I don't want to crawl/limp/suffer through the race. Even in the heat. Hopefully I can run "comfortably strong", which means I have no intention of running hard at this race, just enjoying it and feeling good. Ah, enjoy it! Yes, I am sure that is closely connected to feeling strong. The stronger I feel, the more enjoyable my run will be. Hopefully I can be present in the moment, even if things are getting rough, and just fully embrace the beauty of the trails and my surroundings. So: finish the race, feel strong, enjoy it. I don't necessarily have a time goal-- the thing about trail running is the trails can be so very different, so it's hard to have any idea of when I will finish. I would like to do it in 7 hours if possible, if only because I think that will be the very absolute longest my Garmin will go without dying, haha. The heat will be a factor and slow me down, but since I am such a novice, I have no idea how much.